If you are looking for a used Honda CRV in Peterborough, Ontario, Lindsay and surrounding area, the Peterborough Kia sales team will be able to satisfy your needs. Peterborough Kia always has a great selection of pre-owned Honda CRV in stock and add to the vehicle inventory daily. At Peterborough Kia we proudly sell and service used Honda CRV to customers from Peterborough, Ontario, Lindsay, Bancroft, Cobourg, Haliburton, Bowmanville, Belleville, Oshawa, Port Hope, Clarington and surrounding areas. 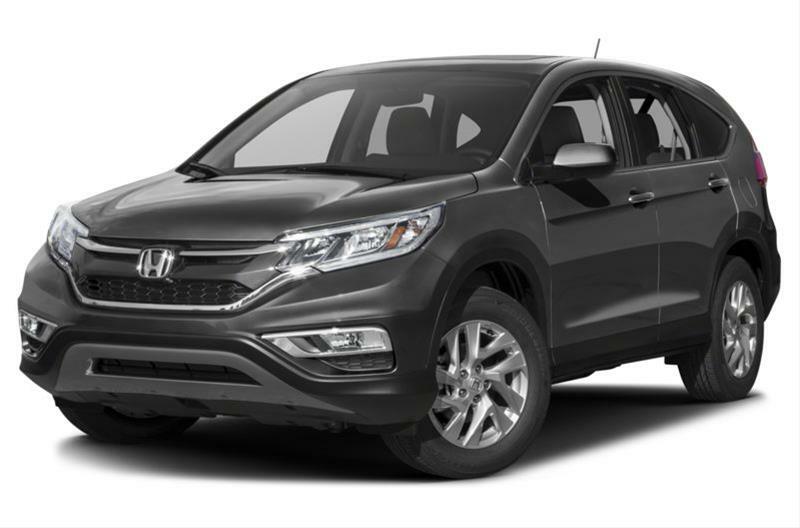 The Honda CR-V is a compact crossover SUV that delivers a satisfying balance of style, versatility and comfort. The five-passenger CR-V is available in both front-wheel and all-wheel drive configurations, each with a choice of five trim levels: LX, SE, EX, EX-L and Touring. All are powered by a 185-hp 2.4-liter inline four-cylinder engine, mated to a Continuously Variable Transmission (CVT) with Sport mode. Trim-dependent standard equipment includes: 17- and 18-inch aluminum wheels, power tailgate, power sunroof, fog lights, LED daytime running lights, passive entry/start, heated front seats, leather upholstery, dual-zone automatic climate control, satellite radio, USB ports, Bluetooth wireless connectivity/music streaming and a 7-inch touchscreen display. A voice-activated navigation system, including HD radio and HD Digital Traffic, is standard on Touring trims and available on the EX-L. Safety features found on every CR-V include anti-lock disc brakes with brake assist, Vehicle Stability Assist with traction control, a multi-angle rearview camera and six airbags. A suite of safety and driver assistive technologies is featured on the Touring trim, including Collision Mitigation Braking System (CMBS), Lane Keeping Assist System (LKAS), Adaptive Cruise Control (ACC) and Forward Collision Warning (FCW). Revamped last year, the Honda CR-V carries over with minimal changes; a new SE trim joins the lineup for 2016. Source: Chrome Data.